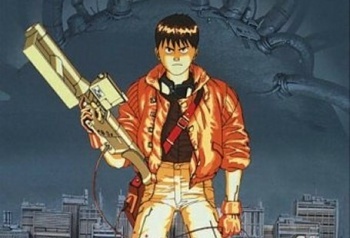 A director with a reputation for delivering on time and on budget could be just what the Akira movie needs. Following the departure of Albert Hughes from its live-action Akira remake, Warner Bros. is now in talks with a new director. Spanish director Jaume Collet-Serra is in line to take over the project. Collet-Serra's most recent movie was Unknown, a thriller starring Liam Nesson, which came out earlier this year. Collet-Serra has also worked directed movies like Orphan, and House of Wax, which, among others, starred Paris Hilton. According to Variety, he has a reputation for delivering movies on time and on budget, which may mean that Akira will finally make it out of the planning stages and actually reach the big screen. Of course, that may be something of a mixed blessing, as by all accounts the script has been thoroughly westernized, with the story now set in New Manhattan, rather than Neo Tokyo. What's more, the studio is supposedly looking for white actors to play the lead roles of Tetsuo and Kaneda, both of whom will presumably be renamed. A new setting and new character names don't automatically mean that the movie will be bad, but it hasn't inspired a lot of confidence among Akira fans. Of course, alienating the existing audience may still pay off if Warner can make a movie that more people can identify with.